Immerse yourself in deep healing, relaxation, and bliss. Bathe in crystalline sounds that soothe and restore your body, heart, and soul. Raise your vibration with vocal harmonies, chants, and Sanskrit mantras. Release stuck energy and blocks on a cellular level. Enter exquisite realms of stillness, sacred sounds. 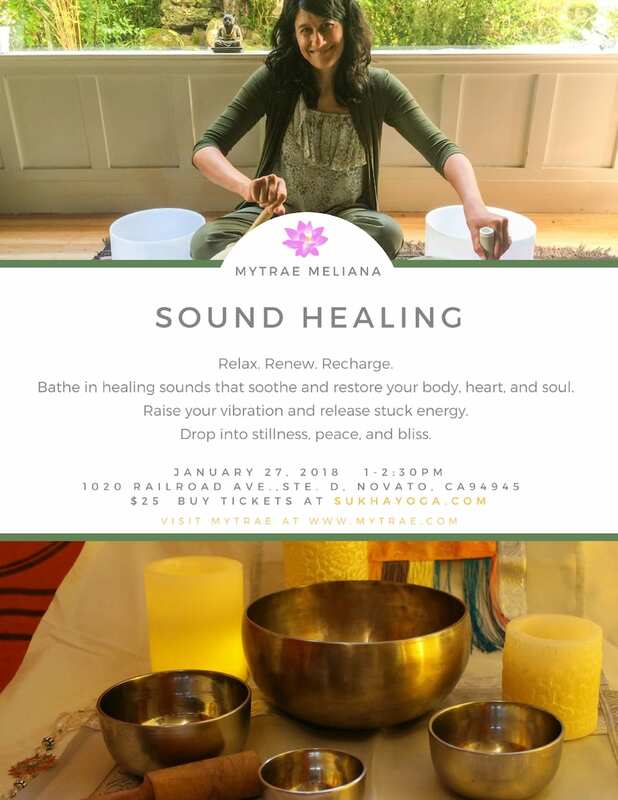 and peace as Mytrae leads you on a mystical inner journey with sound healing, breath, chant, and meditation.